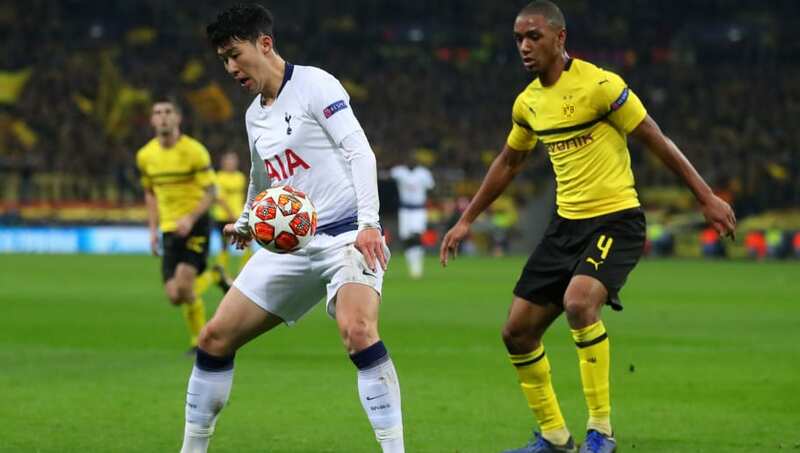 ​Tottenham travel to the Signal Iduna Park on Tuesday to face Borussia Dortmund for the second leg of their round of 16 tie in the UEFA Champions League. Tottenham hold a 3-0 advantage after the first leg, thanks to goals from Son Heung-min, Jan Vertonghen and Fernando Llorente, but have failed to win any of their three matches since the stunning second-half showing at Wembley three weeks ago. Dortmund's players know that they will have to put on a much better performance than they did in the first leg if they are to stage a minor miracle and advance to the Champions League quarter-finals at Spurs' expense. Here's everything you need to know ahead of Tuesday's encounter. The fitness of ​Dele Alli is Mauricio Pochettino's main injury concern heading into Tuesday's clash, with the England international playmaker out of action since January due to a hamstring problem. Thankfully for Pochettino, Spurs' injury list has eased in recent weeks, meaning that, aside from the possible absence of Alli, the Argentinian manager has a full-strength squad at his disposal. For ​Borussia Dortmund, veteran full-backs Lukasz Piszczek and Marcel Schmelzer are both doubtful to feature against Spurs. However, Lucien Favre will be able to call upon Marco Reus and Paco Alcacer, who missed the first leg of the tie due to hamstring and shoulder injuries respectively. ​Borussia Dortmund Burki; Hakimi, Zagadou, Toprak, Diallo; Reus, Weigl, Witsel​, Sancho, Gotze; Alcacer. Tuesday's contest will be the sixth game between the two sides, with Tottenham having won three and drawn two of their previous five fixtures against Dortmund. The last meeting between the side prior to facing each other in this season's Champions League last-16 came in the group stages of the same competition last season, with Spurs coming up victorious in both matches. ​Tottenham will be wary of the danger posed by Dortmund at home, as they slumped to a 5-1 defeat on aggregate to crash out of the Europa League in 2016, after losing 3-0 at the Westfalenstadion. Tottenham were spared the embarrassment of a third successive defeat since the first leg of the tie, after Hugo Lloris' injury-time penalty save salvaged a draw for Tottenham in last weekend's north London derby. However, Spurs have slipped out of the title race following successive defeats to Chelsea and Burnley in the ​Premier League. Having also been knocked out of the FA Cup, Tottenham's only realistic chance of silverware this season is the Champions League. Dortmund v Spurs in the Champions League. Spurs' form has dipped since their three second-half goals at Wembley gave them one foot in the quarter-finals of the Champions League. Despite leading the way in the ​Bundesliga, Dortmund have been far from convincing themselves in recent weeks and will have to really up their game if they are to stage a heroic comeback in front of their own fans on Tuesday night.